Utilizing nearly four decades of practiced industry experience, Mr. Terando is a retired senior research chemist who most recently served Dow Agro Sciences in Indianapolis, IN, from 1990 until his retirement in 2000. He cites this experience as being the highlight of his career, as his research was on specialty synthases as they relate to pesticides and herbicides. Interested in chemistry from a young age, he knew he wanted to be a chemist when he received his first chemistry set. Attending LPO Junior College (now known as Illinois Valley Community College), he received an Associate of Arts in 1959. Subsequently, he attended the University of Illinois, where he earned a Bachelor of Science and Master of Science in chemistry in 1961 and 1962, respectively. 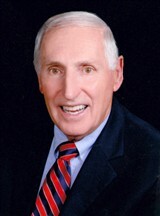 Prior to his most recent role, Mr. Terando was a longtime assistant senior organic chemist at Eli Lilly and Company in Greenfield, IN, from 1962 to 1990. In addition to his primary responsibilities, he holds numerous patents in the field and has contributed myriad articles to scientific journals. He is also a former member of the American Chemical Society and maintains affiliation with the Central Indiana Woodworkers Group. Civically involved, he has volunteered at his local food pantry for the past 19 years. In light of all of his accomplishments, Mr. Terando was selected for inclusion in the 22nd edition of Who’s Who in the Midwest. Married to Carolyn Sue Christie since 1973, he has four children and three grandchildren. He enjoys woodworking, winemaking, gardening and fishing in his spare time.